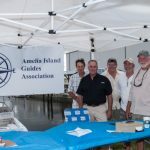 The Amelia Island Guides Association is a group of guides who are working together to help make Amelia Island, Florida a more enjoyable place to visit. 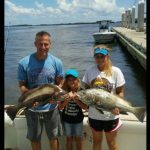 Our guides offer inshore fishing, offshore fishing, sightseeing tours, kayak and back country adventures. We have a large group of pontoon boats, deep sea fishing vessels, backcountry fishing boats, single and double kayak’s and even motorized catamaran boats to experience beautiful Amelia Island. 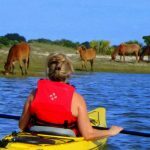 Whether you are staying in historic Fernandina Beach or at the south end in one of our fine resorts, let a member of Amelia Island Guides Association show you around for a fun and exciting time. 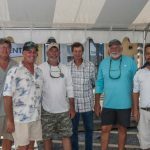 Our charter boat captains and fishing guides are professional, licensed and insured and have signed a Code of Ethics to live up to a high standard for our industry. The tour boat operators and kayak guides also have the required licensing and insurance and have agreed to the Code of Ethics and are ready to take you on a tour.